If we peep through our classics on astrology, there are innumerable yogas which are used in deciding rise in life and quantum of rise as well. Apart from these yogas there are so many divisional charts like Hora, Drekkana, Chaturthamsha, Sapatamsha, Navamasha and many more as many as 24 divisional charts. 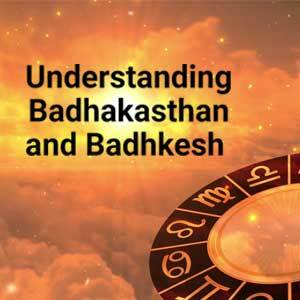 As per traditional astrology to judge the rise of native one has to study the natal chart along with referral divisional chart and finally yogas present in the chart. Thus with so many yogas and divisional charts as well it becomes cumbersome task to accurately determine if a specific native will have some great success in life, if so, exact timing and quantum of rise. A careful study reveals that this can be predicted through the Alternate or Special laganas like Hora lagna (of Jaimini), Ghatika Lagna, Bahva lagna etc. HORA LAGNA : The method of calculating hora lagna as suggested by Vriddhakarikas is termed as Parvritti Dawaya Hora Lagna. The twelve signs of zodiac have 24 Horas. As per method suggested the first six signs from Aries to Virgo will have 12 Horas and the same are repeated from Libra to Pisces. The first Hora in sign Aries is of Aries itself while the second Hora is ruled by Taurus, the same way first Hora of Taurus is Gemini while second Hora is Cancer. The method suggested by Vriddhakarikas, Parvritti Dawaya Hora Lagna is used for judging Rajayogas and longevity. Method of fixing Parvritti Dawaya Hora Lagna Hora lagna is tabulated below. There is yet another method of calculating the Hora lagna, which is mainly used in calculating the life span. This is known as Savayava Hora Lagna. (a) Find out the time difference between time of birth and Sunrise. Time of birth-Sunrise. (b) Convert this time difference into Ghati and Pals. In the exampled case time of birth is 06hrs. 50mnts AM IST and that day’s time of Sunrise is 05Hrs. 24mnts AM IST. Thus: 06:50-05:24= 01hrs. 26mnts. Note: While multiplying Ishat Ghatis by 30 it is taken as Signs, degrees etc. 1. If janma lagna is an odd sign, count from Aries to janma lagna in direct order and note the figure obtained. Now count from Aries to Hora lagna in direct order and note this figure also. If Hora too falls in an odd signs add the two figures obtained above. In case the sum exceeds 12 expunge the multiple of 12 other wise count from Aries to the sum number obtained and this will be the Varnada lagna. In case Hora lagna falls in an even sign subtract the smaller number from the larger number and count from Aries to number obtained to get Varnada lagna. 2. If janma lagna is an even sign count from Pisces to janma lagna in reverse order and note the figure obtained. Now count from Pisces to Hora lagna in a reverse order and note the figure obtained. In case Hora lagna falls in an even sign add both the figures obtained above and expunge the multiple of 12 and count from Pisces up to the sum number obtained in a reverse order to get Varnada lagna. In case Hora lagna falls in an odd sign subtract the smaller number from the larger number as obtained above. Count from Pisces till the number obtained to get Varnada lagna. Example: In the exampled horoscope above Janma lagna is Gemini, an odd sign, while counted from Aries to janma lagna figure obtained is 3. Now when counted from Aries to Hora lagna, figure obtained is 4 since Hora lagna falls in sign Cancer. Since Hora lagna falls in an even sign and subtracting the smaller number from the larger number we get (4-3=1), Now count from Aries to the resultant number, since it 1, sign Aries will become Varnada lagna. Add the longitude of janma lagna and Yogada. Expunge the multiple of 12. Count the final figure obtained from janma lagna in order of Padakrama. If Yogada is absent longitude of Kevala should be considered if kevala is also absent take the longitude of the Moon sign lord. 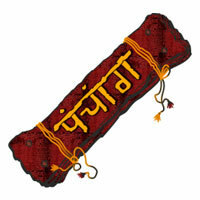 The order of Padakarma is in case janma lagna is a Moveable sign the counting will be direct. In case fixed sign rises in lagna counting will be from the 6th house and in case of dual sign in lagna the counting will be Kendra, Panaphara and Apoklima ie. 1,5,9. Divya aspected or occupied by its own lord or by exalted planet/planets or by both confer Rajayoga. In case Divya lagna in associated with or aspected by malefic planet/planets, debilitated planet/planets leads to poverty. Add the longitudes of lagna lord to the longitudes of the Moon, expunge the multiple of 12. To the resultant figure add the longitudes of the lord of lagna. The final figure arrived at will be Tripmvana lagna. Tripmvna lagna occupied or aspected by its own lord, by exalted planet/planets confer Rajayoga. Aspect or association if malefic planet/planets with Tripmvana lagna leads to poverty. If Rahu is placed in or aspects the Tripmvana lagna it may cause danger from water. In the chart of late Prime Minister janma lagna is Virgo. Hora lagna is Pisces and Ghatika lagna is also Pisces. There are three planets Viz. the Sun, Mars and Mercury are aspecting all three lagans Viz. janma lagna, hora lagna and ghatika lagna. Out of three Mercury is lagna lord also and placed in its own sign Gemini, thus a powerful Rajyoga generates. 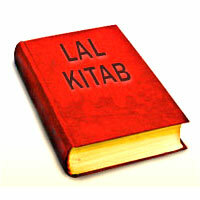 Take the stronger of lagna and its 7th house for further findings. In this case lagna is stronger than the 7th house since it is being aspected by its own lord. In case if the aspecting planet aspects janma lagna in natal chart, Navamasa lagna in Navamasha chart and Drekkana lagna In Drekkana chart again a powerful RaJayoga generates and the planet is known as Yogda of first order. In case this aspecting planet aspects the two lagans out of three it is termed as Yogda of second order. 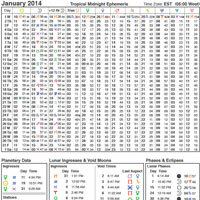 In the exampled chart Mercury, the Sun and Mars are aspecting janma lagna in natal chart. In Drekkana lagna the Sun aspects the Drekkana and in Navamasha chart a Vargottam Mercury aspects Navamsha lagna hence both of these planets Viz. 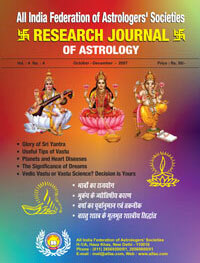 The .Sun and Mercury will be termed as Yogda planets. The 6th sign in Padakanna from Virgo will be Gemini hence Gemini will become Divya lagna. Thus Tripravana lagna is Virgo. In P. V. Narsimha Rao’s chart both Divya lagna as well as Tripravana lagna are being aspected by the Sun, Mars and Mercury. Out of three the Sun is significator of very high government rank( as per strength of the Sun) is a Yogda planet and it is aspecting Divya lagna and Tripravana lagna. While Mercury, another yogda planet, is aspecting both the lagans Viz. Divya and Tripravana. This Mercury is providing additional strength to the chart since it lord of lagna, placed in its own sign and aspecting, both the lagans Viz. Divya and Tripravana which contains its exaltation sign. Thus he enjoyed Rajayoga results through out his life. Note: There are so many other factors also which took the native to the highest position but here we are restricting to the study of Divya lagna and Tripravna lagna only just to cite an example. More examples will be dealt with in the later part while judging financial rank, political rank and other ranks of highest order.